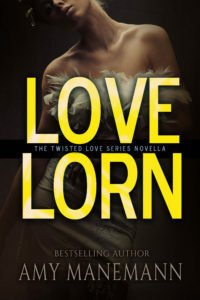 Love Lorn, is the first book in a nine-book series called The Twisted Love Series. Amy and Stacy have worked together on the first two novellas so their stories run parallel and prepare you for the first full-length novel in the series Love Inked. 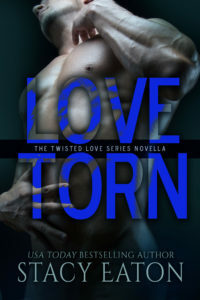 Love Torn, is the second book in a nine-book series called The Twisted Love Series. 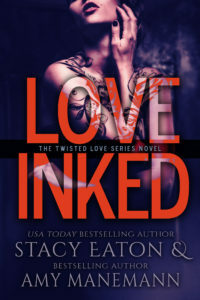 Amy and Stacy have worked together on the first two novellas so their stories run parallel and prepare you for the first full-length novel in the series Love Inked. Detective Kali Mann returns from leave to find a new partner assignment. Not only is she bitter about recent events, but she’s irritated to be saddled with the model-beautiful rookie detective Evelyn Harper. What’s worse, Evie doesn’t just want to be partners—she’s striving to make them friends. As Kali and Evie find their footing and search for clues to the recent murder, an explosion rocks their police family, and Kali and Evie team up with others to find the culprits responsible. With everyone occupied with the new incident, a delivery to the station arrives that could provide an important clue in the homicide investigation, but will it be overlooked? Now that Detectives Kali Mann and Evie Harper are finding their footing together as partners, they are digging in deep to solve the major crimes in the Fourteenth District of Philadelphia. When another victim is discovered, and the ritual killing is found to have altered, Evie and Kali scramble to make heads or tails of it. Evie is pulled undercover to help fellow detective, Josh Westing, and she needs to balance her personal feelings for him, as well as remain professional while in the presence of the Mexican Cartel. Evie will find herself on a precipice to expanding her relationship with CSI Eric VanLacken and it will either grow to a new level or explode into bits and pieces. While Kali is pushing forward and focused on the serial killings, she finds herself distracted by Detective Sergeant Greg Shavers more than she cares to admit. Special Agent Liam MacCabe continues to lurk on the edge, always there for Kali when she needs it most, especially after she crosses back from the dark side. 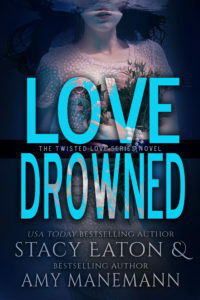 Evie and Kali will both spend their days in court, and while one case will get resolved, the other will take one of them to their knees in emotional destruction. Join Evie and Kali as they investigate new cases, dig deeper into current ones, and find their love life’s almost as explosive as dynamite. Pre Order will be available soon!